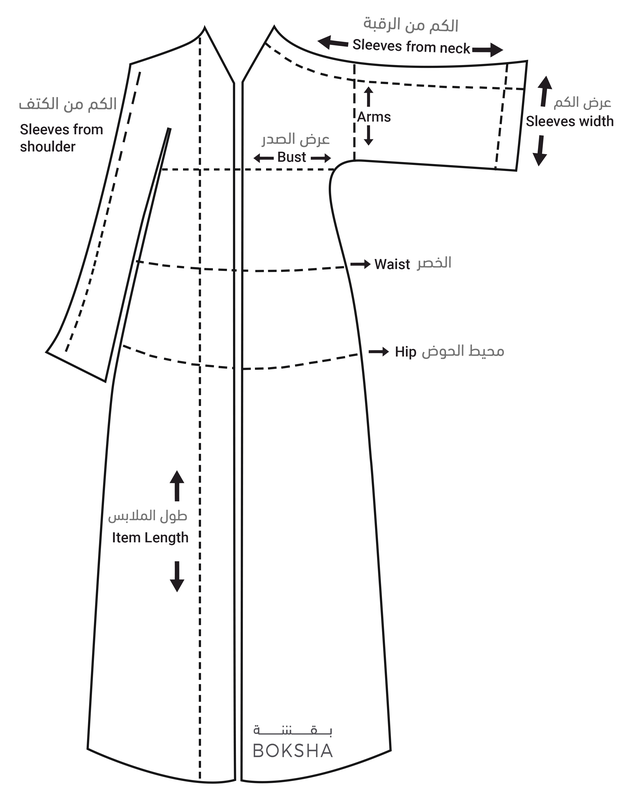 Inspired-by-nature jalabiyas and abayas that are unique and exclusive, with lots of attention to detail. All our pieces are self designed and hand embroidered. Designer note : Three Flowers is made of black nada fabric, with an unusual hand cut, enough to give you the impression of a kape. Its name is inspired by the hundred flowers, coupled in sets of three, in colors of pink, blue and off white (also available in pink, purple and off white). This piece allows you to make a statement without uttering a single word.